Yesterday was a big surprise. 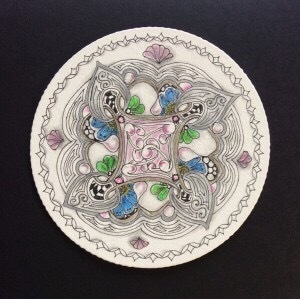 My morning email brought a request from Zentangle.com to use one of my tiles for part of a Mosaic App T3 (Tangles, Tips, & Techniques) post for St. Patrick’s Day. Shocked out of my mind, I agreed, of course, thanking them for the honor in my reply. 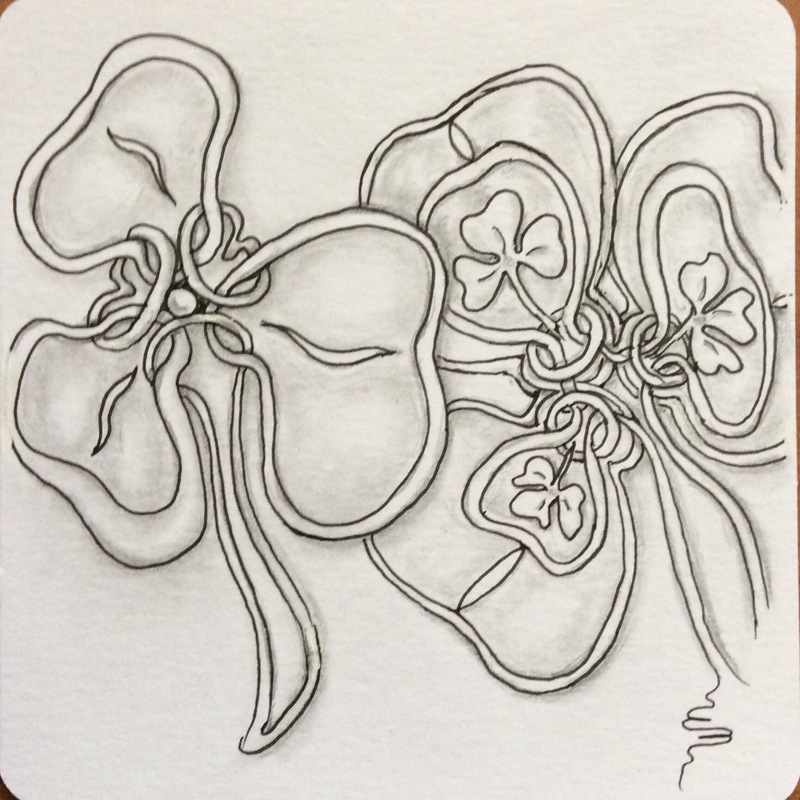 A St. Patrick’s Day Shamrock Way Bop tile. Nothing fancy or exciting, I know. 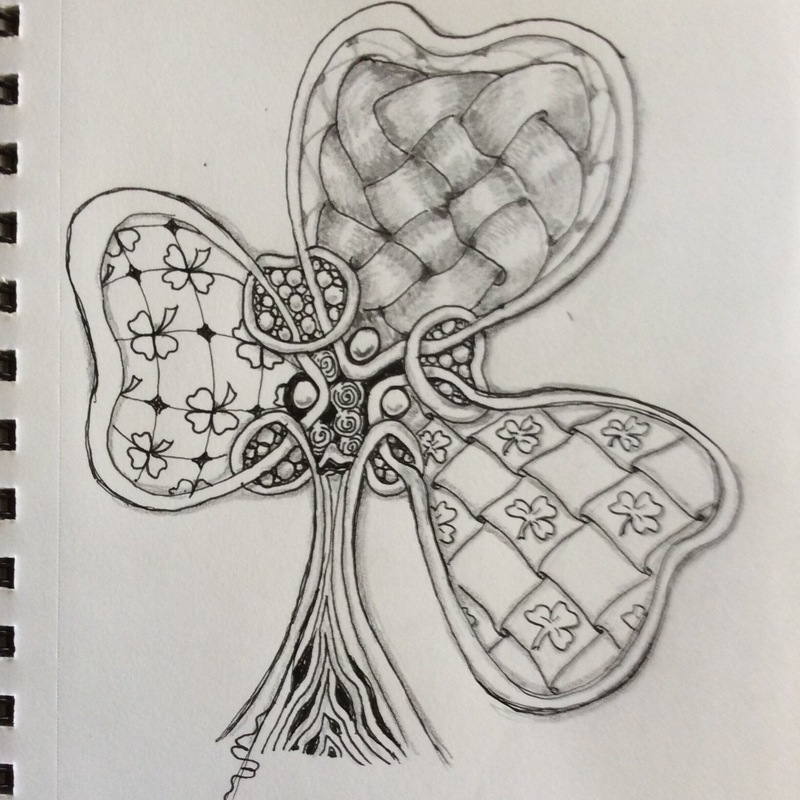 It was the idea that was being used, although maybe the shamrock doing a jig got someone smiling. I love the tangle called Way Bop, and waited somewhat impatiently for months for a step-out to come out. 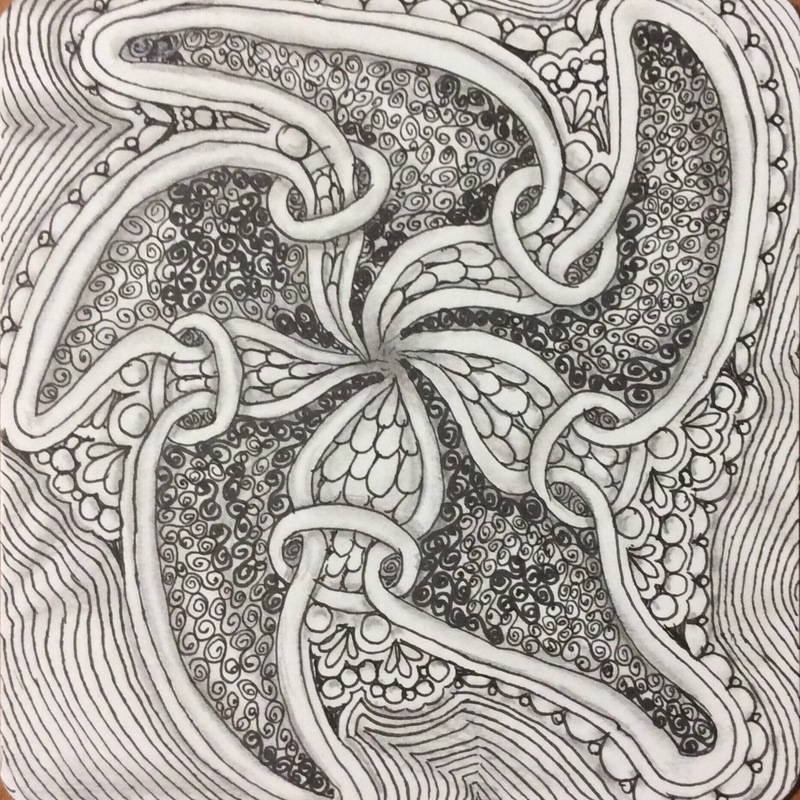 I tried to mimic Way Bops as drawn by artists and tanglers for the Zentangle Mosaic app and for challenges all over the Internet. I came close, but the procedure I used was convoluted and the results were far from satisfying. I was certain there was an easier way to draw Way Bop, and that I would have to wait until the step-out was released. 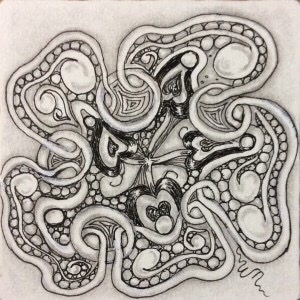 About a month ago, Zentangle released the step-out for Way Bop (link to my post with step-outs) along with another step-out of a heart-shaped variation. I must admit that I was excited beyond words. I started drawing nice, conservative Way Bops, but realized I have a long way to go before I can draw ones that look like the fancy ones appearing all over tangling blogs and in Mosaic. So I started fooling around. Here is one of my favorites, called Anger Management. 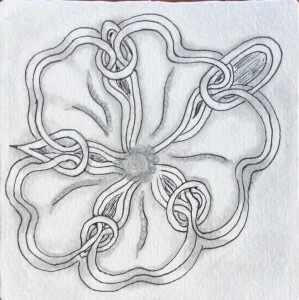 And another that was inspired by a hibiscus outside of my patio door. Way Bop is an amazingly versatile tangle that looks best when it is used as a structure for filling in with other tangles and “fragments.” But it is a flexible enough pattern to be morphed into all sorts of fun and modernistic shapes. After tangling a heart-shaped Way Bop for the Valentangle 2017 challenge on Facebook, I figured other shapes could be made from the pattern, too. 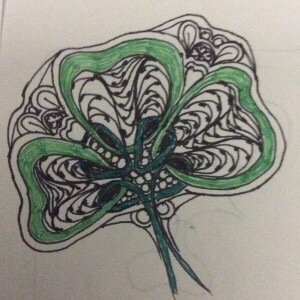 So last week I started fooling around with shamrock shapes. 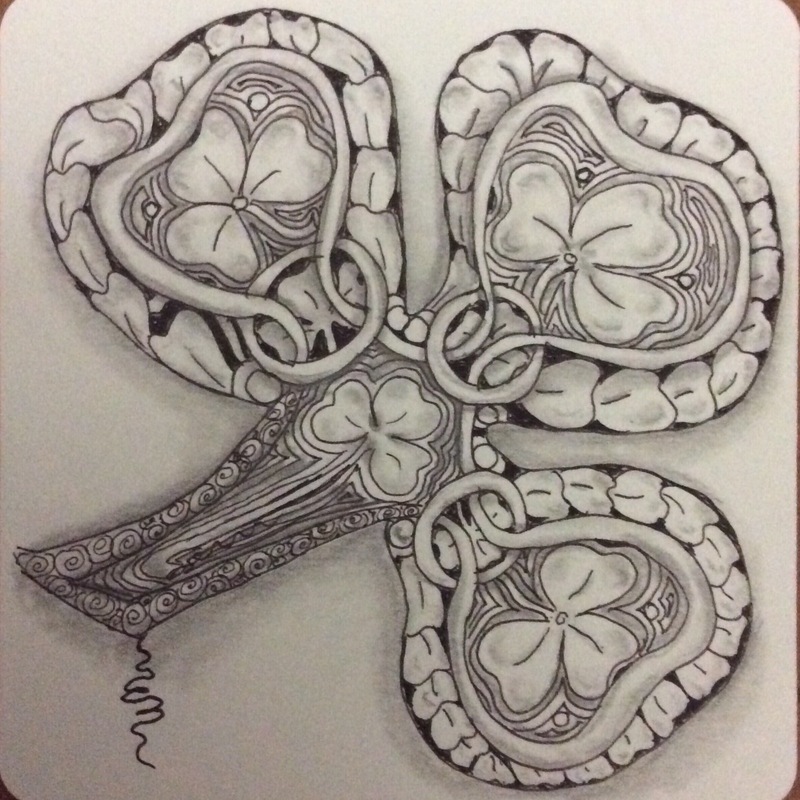 Here are some examples–nothing fancy or beautiful, but they definitely are shamrock shapes filled in with other tangles or shapes. If you can’t tell, I love Way Bop! If you need the original step-out mentioned above, click on the link in the second paragraph. It takes you to the post that contains both the regular and the heart-shaped variation step-outs. Where can Way Bop take your tangling? Anywhere you want it to go, of course! Congratulations. You really know how to carry these patterns all the way. They’re all neat but I really like Anger Management for some reason. Me, too! Thank you. I was deliberately trying to push the limits of what could be done with distorting segments of the basic Way Bop pattern. 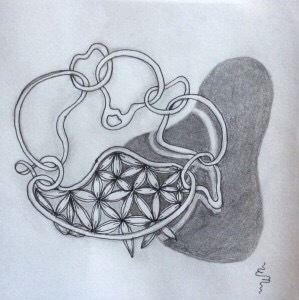 But, truth be told, I really was angry with someone at the time and used the exploration of the tangle to bring back my balance. That’s great that you can use drawing as an outlet. I don’t think I’ve tried that before.